With overseas study becoming increasingly popular and more and more schools competing for students, institutions of higher education face fierce competition, whether they are a state university or a private college. The future of education is driven by technology that can reshape communications with prospects, current students, parents, and alumni. To prepare your organisation to meet the expectations of this increasingly mobile community, create a professional marketing and communication strategy using GetResponse. Use one-to-one communication and a solid web presence to increase the quantity and quality of your students. 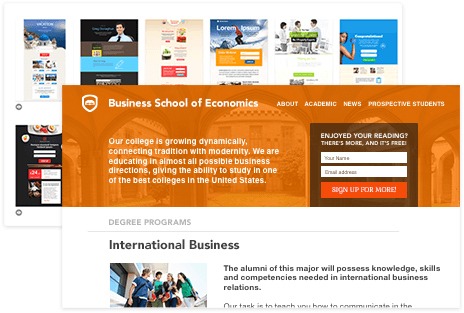 Choose from landing page templates to promote a variety of courses, school credentials, and personal stories from alumni. Create user-friendly web forms so candidates can contact the admissions office, register for a course, or apply for financial aid. 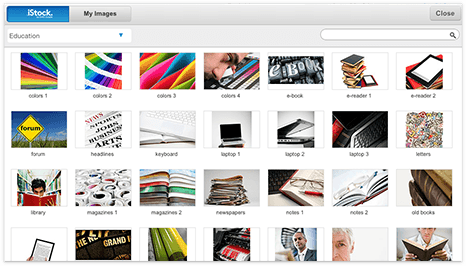 Synchronise data from various departments and manage it all from one platform. 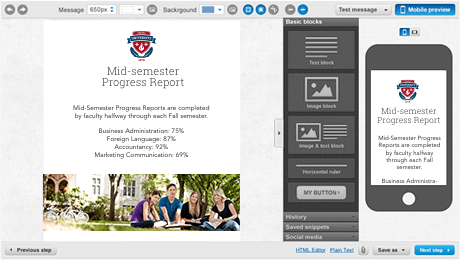 Set up email communications to promote classes and extracurricular activities. Segment your student list by the academic degree they want to pursue, then send them personalised career opportunities. Help struggling students by sending them deadline alerts and announcements from advisors. Share invitations to increase participation in conferences, seminars or workshops. Drive additional business by informing students about the day’s cafeteria menu or bookshop bestsellers. Compete with traditional academic programmes. Enhance enrolment by introducing easy registration to online courses and training. 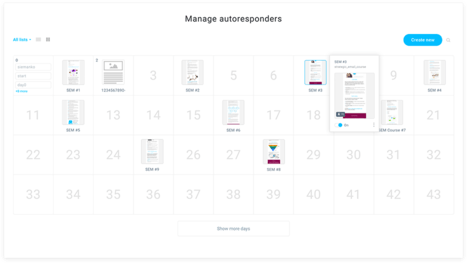 Organise contests, challenges and quizzes using GetResponse's advanced survey tools. 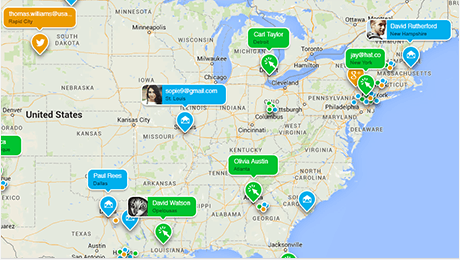 Create a hub for finding roommates and sending quick offers to your students. Find areas for progress and opportunity. Want to meet or exceed your goals? Find out how many prospects joined a LinkedIn group, participated in an online course, or attended an event. Conduct surveys to gather opinions about teacher performance throughout the year. 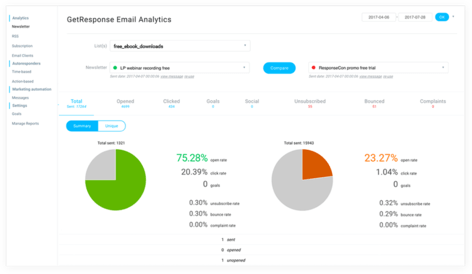 Create response-driven emails and websites that reach both mobile and desktop audiences. Create competitive programmes that allow access from anywhere in the world. Use dynamic content and personalisation to bring a hometown feel to multiple geolocations worldwide. Organise webinars to share knowledge with your international audience. 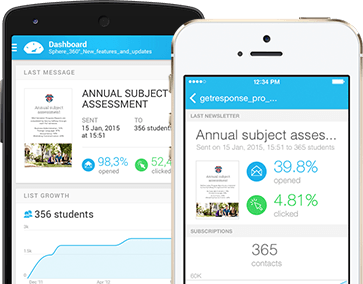 Find out what GetResponse can do for your educational institution.